If you happen to have read my blog over recent weeks - first let me say a massive thank you - and secondly, well, you'll know that I'm very partial to a trip out every now and again. I love popping off for day trips and I have visited a fair few fab places in my time. But sometimes, I must admit, I struggle to think up new and exciting things to do. We've either been there and done it before, or - particularly if I fancy visiting an unfamiliar place - I won't have a clue what's about to do. 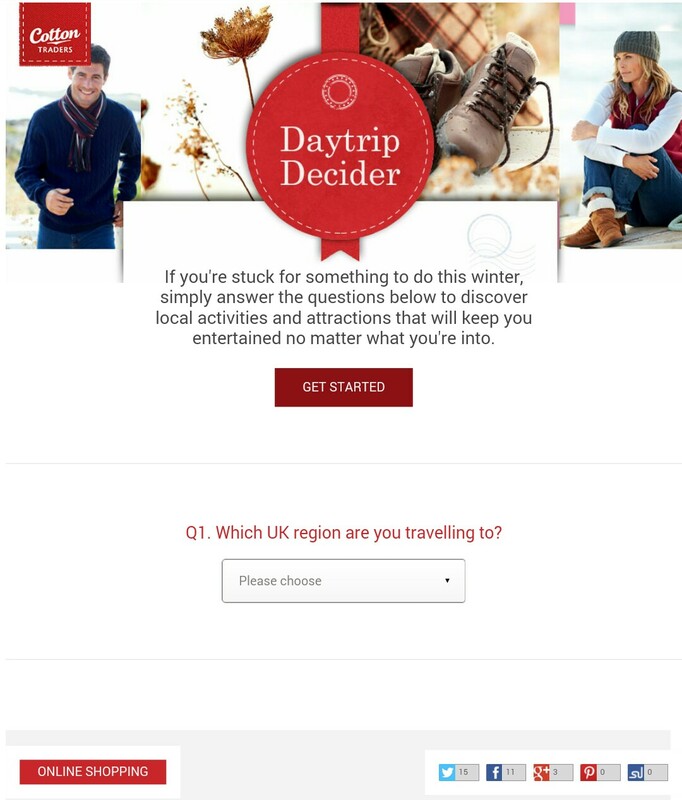 Now the Day Trip Decider does exactly what it says on the tin - it helps you decide what you would like to do. And it does this with just a few little clicks of the mouse. 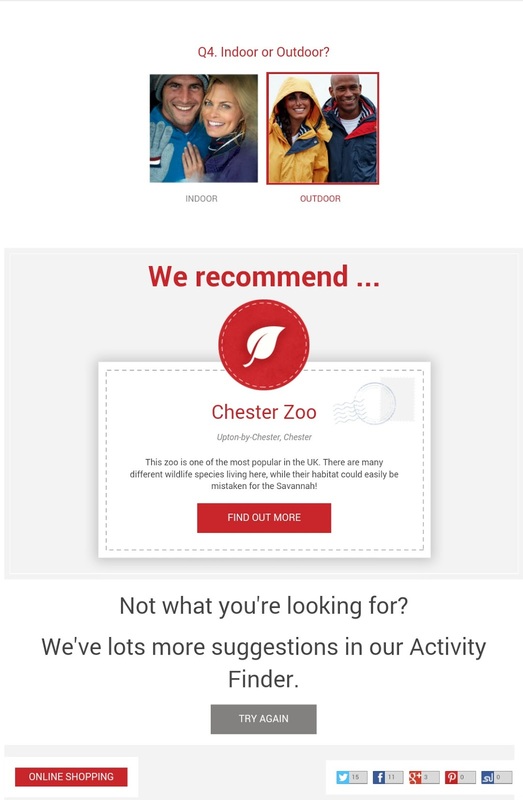 And it suggested that I try out Chester Zoo - which is exactly what I shall be doing this weekend. 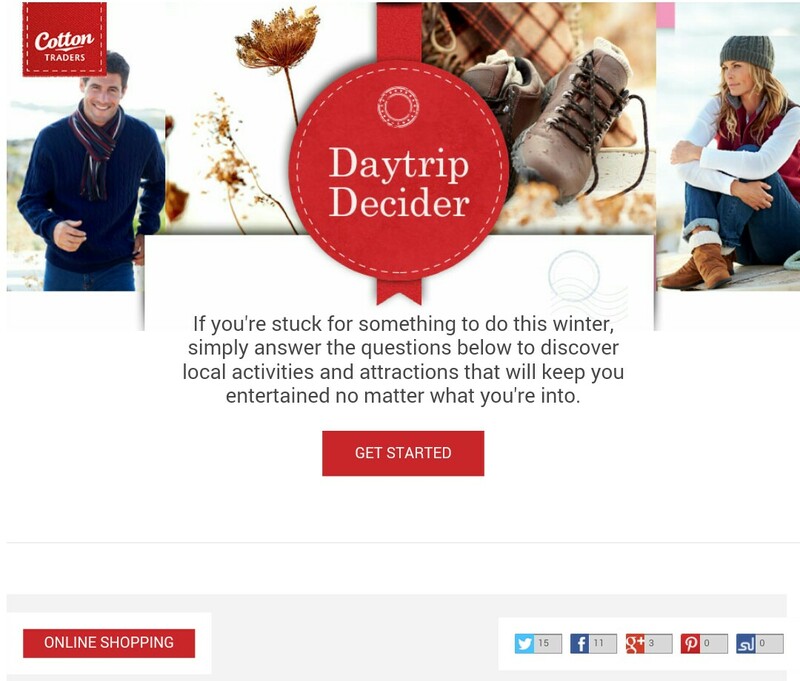 The Day Trip Decider is so simple and easy to use. It's great at finding things that otherwise may have gone un-explored - those things that you don't even know about so certainly wouldn't go and look for. If a person isn't local to Great Yarmouth for example, then it probably wouldn't be known that Yesterday's World is there, a museum with exhibits from the 18th, 19th and 20th century - but with this little tool nothing is left un-explored. It really helps to plan and organise those all important days out. Check out Cotton Traders Day Trip Decider for yourself and see what it suggests for you. And I'll make sure I let you know how my day-trip goes too.